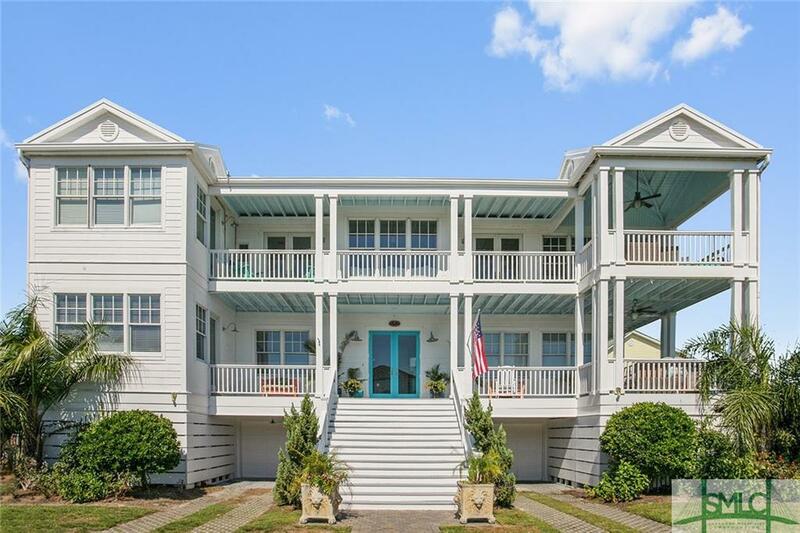 8 Sandlewood Court is the most stunning 2nd tier beach home on Tybee Island, only steps to the beach. 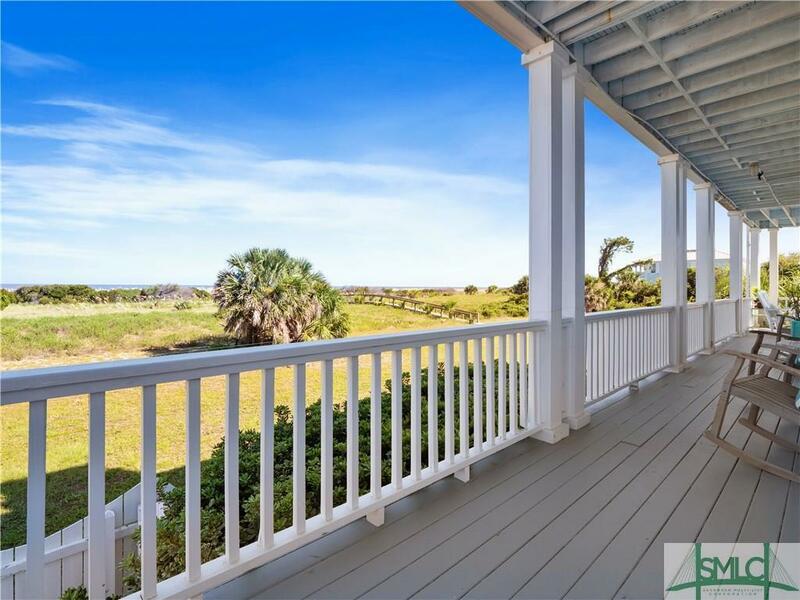 Enjoy ocean views from double porches and most of the interior in this 4000+ sq. feet home with 5 bedrooms, 3 full baths and 3 stop elevator. The entry opens into a sitting area, split bedroom plan with ample master suite, a guest room and office on the 1st floor. The top-level open living concept features a gourmet kitchen with Amazonite Gemstone granite tops and fireplace surround, Quartzite Farm sink, wine cooler, Subzero refrigerator, high end dishwasher, Thermador gas cooktop, double ovens, warming drawer and microwave. Additional luxury features include Fantasy Blue granite in office, cypress ceilings in family room and 2 bedrooms, 6GÇ¥ Wide plank oak floors, energy efficient metal roof with solar panels, generous patio and salt water pool. 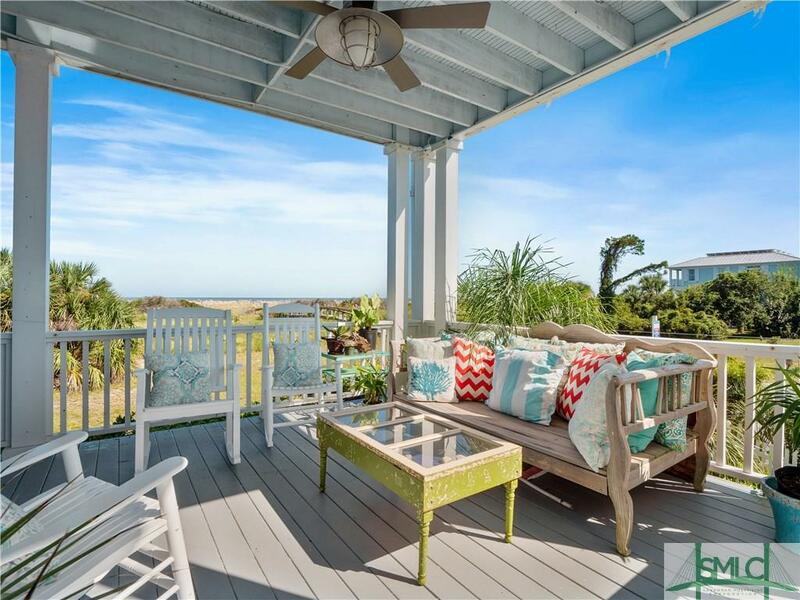 Styled by Jane Coslick, itGÇÖs been featured on Tybee Tour of Homes and in Cottage Style, Color Made Easy and House of Turquoise magazines.